It’s likely that you’ve seen our posts on our Facebook Page about Cash Mob. But what in the world is a Cash Mob?!? Let me tell you about it. The Palmer Cash Mob is a monthly event with the following slogan: Buy Local, Meet Locals, Eat, Drink and BE Local! Every third Thursday of the month, 6:00pm – 8:30ish, locals will gather at a “pre-mob” gathering place. This gathering place is announced on the Palmer Cash Mob Facebook page. Mobbers are encourage to grab a bite to eat and/or drink, and introduce themselves to other locals. Here the “Host Business” (the business being mobbed) will be announced. The Cash Mob will then head to the “Host Business” where each Mobber spends a minimum of $20. Buy gifts for friends or family… or just pamper yourself! 1. The business must be locally owned. 2. The business must have products for both men and women and be large enough to hold the Mob. 3. The business owner must give back to the community in some way. 4. The business owner must approve the CashMob before the mob is announced. Cash Mobbers are encouraged join in a social gathering after the mob. Want to support local artists and find some great handmade Christmas Gifts? Check out some of the Palmer Area Craft Fairs this holiday season! Nov. 2, 3 Annual Valley Fiber Arts Guild Holiday sale is from 11 a.m. to 6 p.m., Nov. 2 and 10 a.m. to 6 p.m., Nov. 3 at the Palmer Depot. Some 40 guild members will offer their hand-made creations for sale, including shawls, jewelry, socks, novelty items, blankets, rugs, paintings and ornaments. For more information, contact 745-3487, or visit valleyfiberarts.org. Nov. 10 Palmer Elks Lodge No. 1842 Craft Fair, 10 a.m. to 6 p.m., Nov. 10 at 2600 N. Barry’s Resort Drive. This is a great chance to get some holiday shopping done or if you are a vendor, to sell your wares. Registration forms are available at palmerelks.org/crafts.htm and we have spaces available. Food will be available for purchase. Vendor spaces are $35 and as always, buyers are admitted free. For more information, contact (907) 242-1865, or visit palmerelks.org/crafts.htm. Nov. 10 Fall Craft Bazaar at St. Michael Catholic Church in Palmer at 9 a.m. to 4 p.m., Nov. 10 Open to all with handcrafted goods, food, and music. Come do your Christmas shopping and raise money for adoption! Featuring handmade items and home based businesses who will all make a donation to the Jacobs family’s adoption fund. There will be door prizes, silent auction and a bake sale! The Jacobs have also decided to “tithe” off of event earnings this year, so they will be surprising another local adoptive family with 10% of the proceeds from this event! Nov. 17 The Women’s Ministry of Palmer Church of the Nazarene annual bazaar is from 11 a.m. to 5 p.m., Nov. 17 at the Palmer Depot, 610 S. Valley Way. For more information, contact 746-0261. Nov. 24 Colony High School’s Holiday Bazaar is from 10 a.m. to 5 p.m. Nov. 24 at Colony High School, 9550 E. Colony Schools Drive. For more information, contact 861-5500. Dec. 7, 8 Colony Christmas begins at 11 a.m. Dec. 7 and 10 a.m. Dec. 8 at the Palmer Depot, 610 S. Valley Way. Multiple bazaars and craft fairs in downtown Palmer. Visit the website details. For more information, contact 745-2880, or visit palmerchamber.org. Dec. 15 A Christmas Bazaar is from 10 a.m. to 6 p.m., Dec. 15 at the new Sutton Library. For more information, contact 745-0707, or 745-4467. The event includes a visit from Santa from noon to 1 p.m., door prizes and a raffle. Proceeds benefit the family of Renvek Larson. This information was found in the Frontiersman’s 2012 Mat-Su Holiday Bazaars. For the Full article with info about bazaars around the entire Valley, click here. 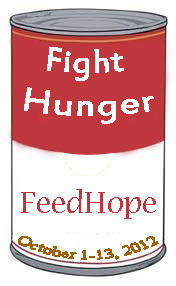 Drop your donations for Fight Hunger, Feed Hope off at Valley Market Real Estate! Our new office is located at 545 S. Alaska Street, across from the Valley Hotel & Coffee Shop. Donations will be accepted Oct 1-13 during normal business hours. More info on October 13th’s events can be found here. Bonus: We are having a drawing for a $20 gift certificate to the Palmer Downtown Deli! One drawing entry per item. Bring 20 items, get your name entered 20 times! Easy as that. 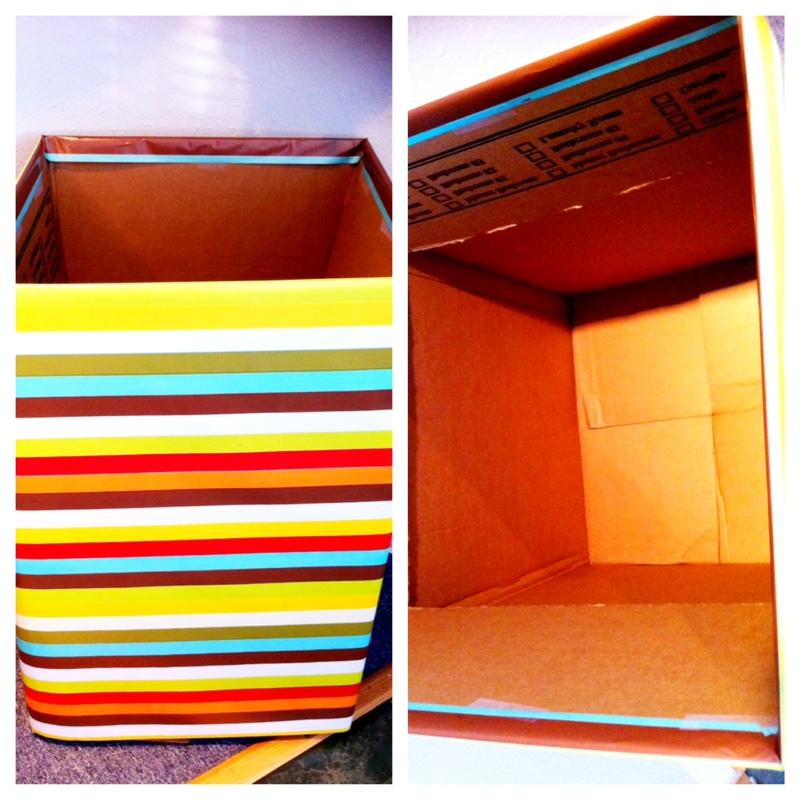 We have a box in the foyer waiting for your donations to the Palmer Food Bank. Help us fill it up! A list of other participating organizations and businesses can be found here. Canned Fish – tuna, salmon, etc. On Monday, October 1st, local groups and merchants will start accepting non-perishable foods for a food drive benefiting the Palmer Food Bank which, in turn, helps those in need in our community. This drive ends on Saturday, October 13th, culminating in an afternoon and evening of art, music, and fun and a chance to vote on your favorite display of donated items as part of Second Saturday. families due to local flooding, this food drive will be a huge help and is needed now more than ever. The goal is for each group/business to collect 200 cans or more! After the end of the drive, pickup of donated items will be Monday-Thursday the following week. Please feel free to call for any questions and a big THANKS for joining us in this worthy cause! When I was a little kid, I looked forward to the fair every year. My sisters, brother and I love to ride the rides, enter baked goods in the fair and see the little piglets that were magically birthed on time every year. As I got older, my favorite ride evolved from the Spinning Apple to the Gravitron (I never get dizzy), my favorite sight from the baby animals to fascinating shows, and from cotton candy to delicious tacos from Taco Dan’s in Log Cabin #6. Fair time always brings back memories of quality family time – Mom dragging us to the exhibits and Dad pointing out the fascinating log splitting machinery. My siblings and I squabbled over cotton candy colors and Dad taught us to walk “fair speed” through the crowds. My mom’s birthday is the 28th of August, and her one request for as long as I can remember, is to have a day alone at the fair. With today’s economy and tighter budgets, some people may be wondering… how can I afford the fair? Thankfully, there are number of ways to save money on admission and ride tickets. If you purchase a 6 pack of tickets online, you’ll save up to $18, $3 off every adult ticket (if used on a weekend). The opening day, Thursday August 23, is only $2 admission! Coca Cola Buddy Days enables you to grab a coupon from a Holiday station and when you purchase a ticket at the gate, you receive a free one of equal or lesser value for your buddy. On Alaska Grown Day, you can wear your Alaska Grown t-shirt to the fair and receive $2 off the ticket price. For more info on the discounts, click here. The Fair posts their daily schedule online, so you can plan out what you’re going to see before you even arrive! Click here for the daily schedules for the entire fair. Are you interested in entering a contest with your friend, child, or own skills? 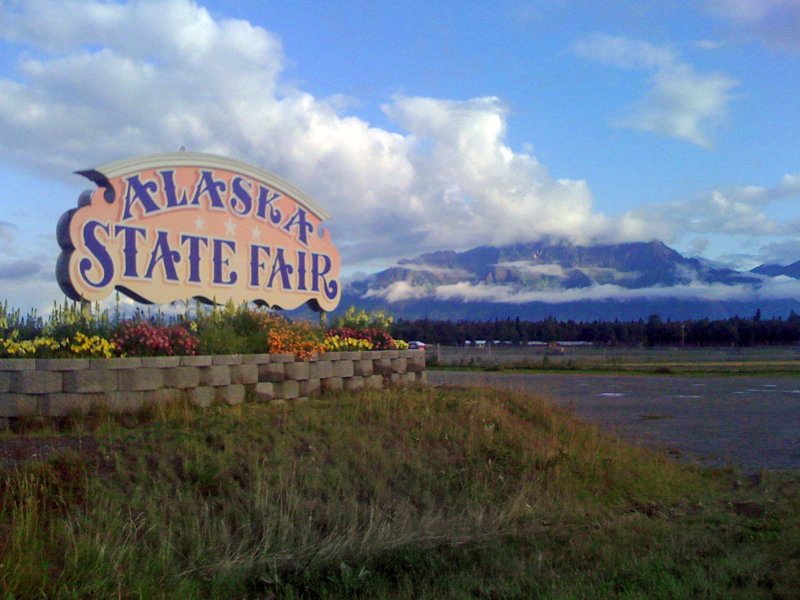 The Alaska State Fair has 25 different contests throughout the fair! Click here to find out more about contests! I hope to see you at the Fair! You’re gonna love it!